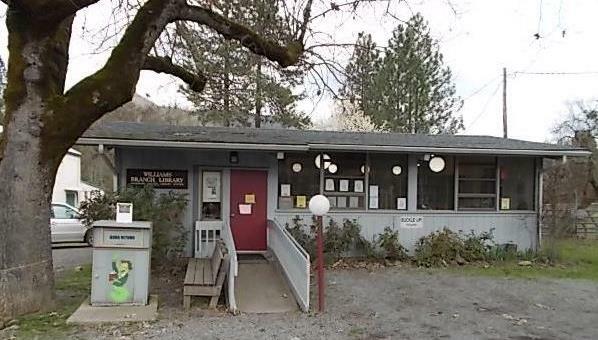 The Williams branch of Josephine Community Libraries is located next to Williams Elementary School at 20695 Williams Highway in Williams, Oregon 97544. The mailing address is 200 NW C Street, Grants Pass, Oregon 97526. 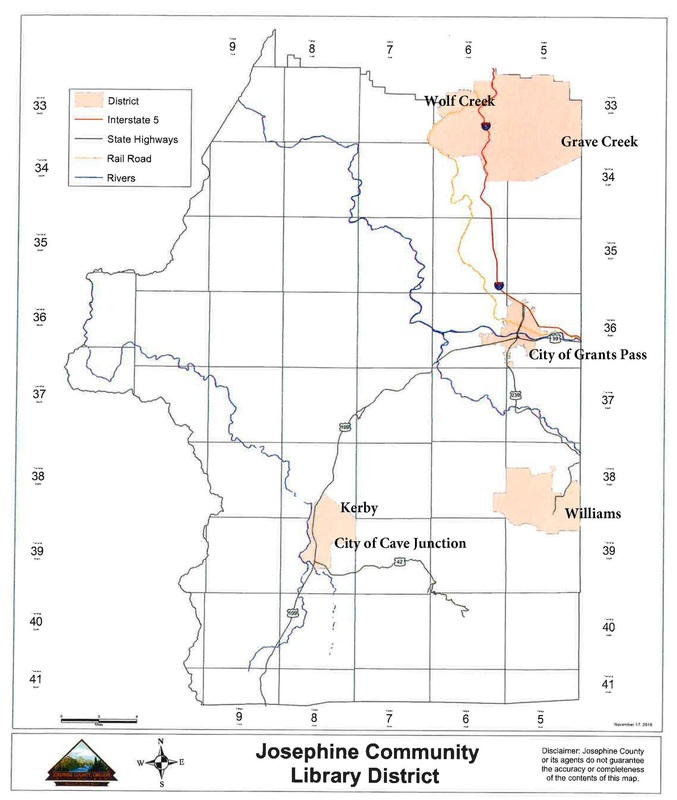 From Sixth Street (OR 99 South), continue across the river and across Grants Pass Parkway (U.S. 199 South) to Williams Highway (OR 238). Travel for about 11.8 miles. Stay straight to go onto Water Gap Road, and travel for 4.8 miles. Turn slight right onto Williams Highway and travel for 1.5 miles. The Williams library is on the left at 20695 Williams Highway, next to Williams Elementary School. Weekly Storytime, 2:30–3:30 pm every Friday. Children are invited to a weekly storytime and craft. See the library calendar for details about events and other happenings at the Williams Library.